Another phone series exclusively available on the Flipkart online shopping website. 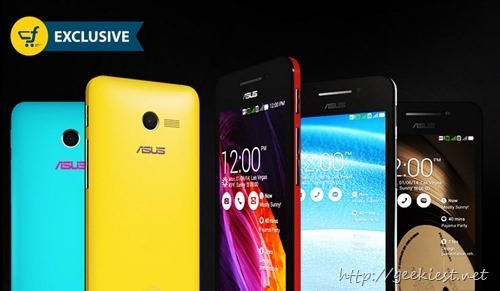 Asus Zenfone (4 variants) are available only through flipkart. All these purchases will offer you 5 GB Free Lifetime ASUS Web Storage. 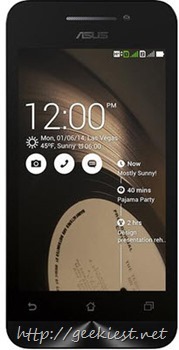 Asus Zenfone are Dual SIM Android Phones with Corning Gorilla Glass 3, 10-finger Multi-touch Panel. These phones are available on different colors, Charcoal black, Cherry Red, Pearl white and solar yellow. Check the phones on flipkart. The expected release date is Release Date: 12 July 2014. While you pre-order Asus Zenfone you can also get Asus covers and Sandisk 8Gb memory card for 50% discount and also selected eBooks worth INR 1000 too.